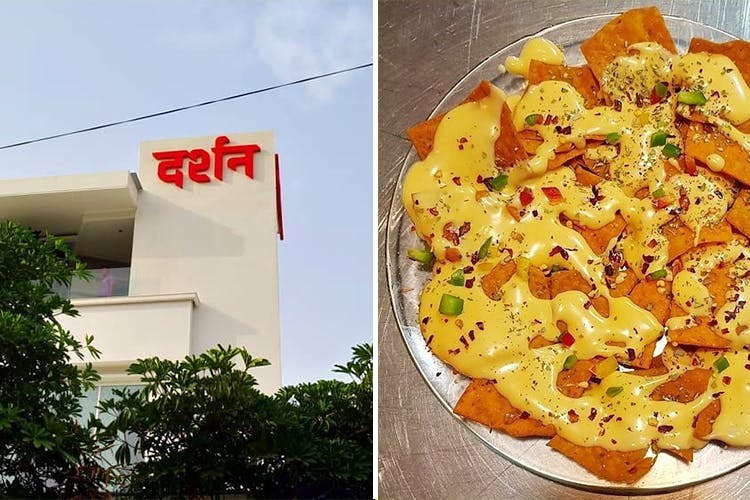 Pune's iconic vegetarian restaurant, Darshan has recently opened an outlet in Baner and we cannot get over their cheese balls and dahi vada. Darshan has been dishing out mouthwatering vegetarian delicacies since 1976. While they have several outlets in the city, they recently opened a well-furnished, plush outlet in Baner and the hospitality is top-notch. Food menu remains the same and revolves around Indian, Continental, Chinese, Mexican and Italian cuisines. Our recommendation is stick to Indian dishes because they do it really well. We particularly love their dahi wada, crispy cheese balls and papdi chaat for snacks. If you're looking for a full-fledged meal, go for their scrumptious chana bhatura. They can definitely improve the quality of their Mexican and Italian dishes. They have a vast dessert menu that include waffles, homemade ice creams, churros and more. Make sure you check that out.